We’ve kicked off #lovemyneighbourhood and it’s all about getting to know your neighbours, doing your bit to look after your neck of the woods, and sharing your neighbourhood stories. 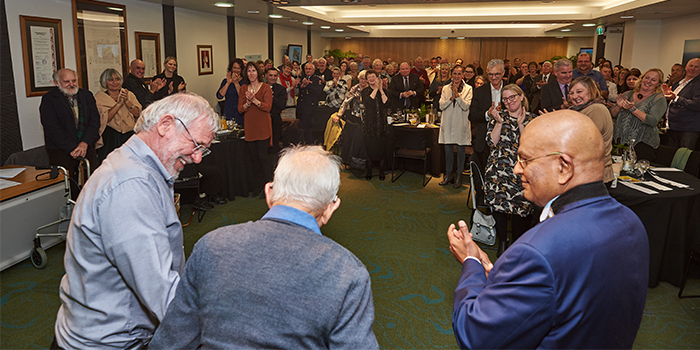 We’ve heard some great stories about the celebrations and get-togethers that took place across the District to mark the 10th anniversary of Neighbours Day. What have you done over the past few weeks to get to know your neighbours? Join the conversation on our Facebook page. 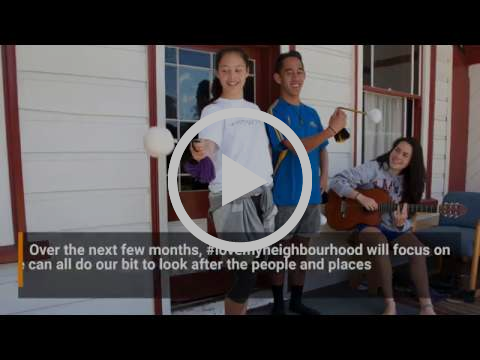 Do you know a local resident or a community group that helps make Kāpiti a great place to live? Nominations for this year’s Civic and Community Awards are now open. The awards are the perfect way to recognise the locals who go above and beyond to help make our community vibrant, diverse and thriving. 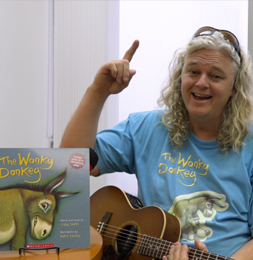 Find out more and fill in a nomination. Check out our latest shared pathway, which goes from the Waikanae town centre through to the Russell Reserve. 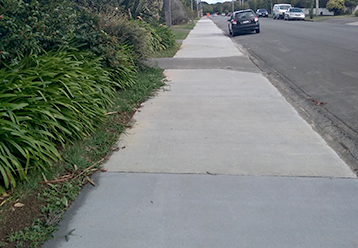 It’s part of our Stride 'n' Ride initiative, which is delivering shared pathways all around our District. So far we’ve built them on Raumati Road, Poplar Ave, Mazengarb Road, Kāpiti Road, Te Moana Road, Otaihanga Road and now Ngaio Road. There are more to come this year, so stay tuned! 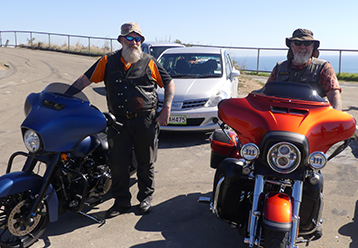 More than 60 motorcyclists stopped at our Motorcycle Education stop at the Paekākāriki Hill Road summit on Sunday. We gave out motorcycle safety packs which included a digital tyre gauge, a tyre depth disc, a snack bar, a helmet visor cleaning cloth, and info about great motorcycle rides in the Lower North Island. We also encouraged everyone who stopped to sign up for the ACC Ride Forever course, which is subsidised by ACC. 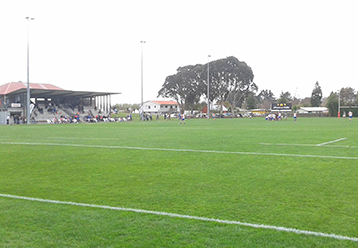 We’re upgrading the Rāhui grandstand at Ōtaki Domain so it’s all set for the busy winter season ahead. We’re carrying out refurbishments between now and June, which include structural strengthening, plumbing improvements and repairs to the doors and windows. While the grandstand will be out of action during the works, the field and amenities can still be used. 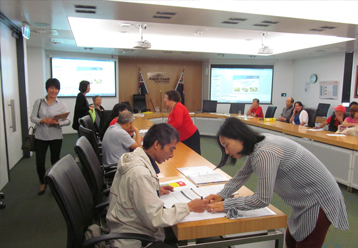 Last week we hosted a workshop for local Chinese food operators, with the help of Mandarin and Cantonese interpreters. This was the second of two workshops offered, which were designed to help make recent Food Act changes easier to understand. The workshops were well-attended and participants left feeling more comfortable with how they’re expected to respond to the changes. What's in our draft annual plan? 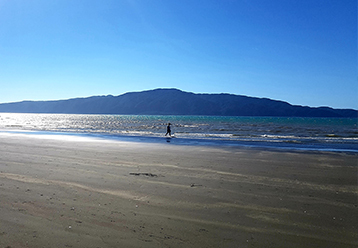 Find out what we're planning to work on in the new financial year starting July 2019 in our guide to the toitū Kāpiti draft annual plan 2019/20. It talks about what projects are on the horizon, what we plan to spend on them, what that means for rates in 2019-20 and how you can comment during April. The guide is on our website and you can pick up a copy at one of our libraries or service centres. 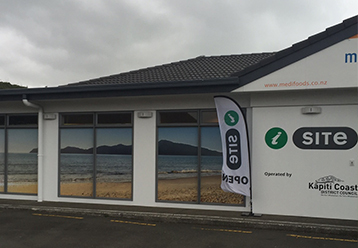 The Kāpiti i-SITE in Paraparaumu has now closed, following a decision in February to close the premises. Some of the i-SITE services will now be offered from other Council sites and the Coastlands Customer Services counter from next week. You can also make accommodation and tourism operator bookings via our destination website. 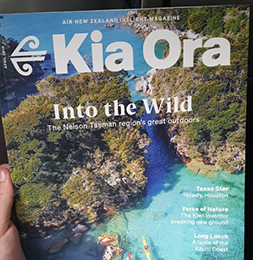 If you happen to be flying with Air New Zealand this month check out the three page spread on places to eat and drink in Kāpiti in Kia Ora magazine. The feature prepared by Ōtaki-based freelance writer Sharon Stevenson showcases our burgeoning café, bar and restaurant scene. Ka pai Kāpiti!